« What Are The 4 Changes To GLAS In 2018? Members of the public are invited to come along to a public meeting hosted by Donegal Joint Policing Committee on Tuesday, September 25 at 7pm in the Abbey Hotel in Donegal Town. Chair of the Donegal Joint Policing Committee Cllr. Gerry McMonagle believes that this meeting is an opportunity for the public to engage with the members of the committee and to raise issues relating to community safety. “This is a great opportunity for both the public and the committee to engage on important community safety issues across the county. We are also offering the public an opportunity to make submissions and observations prior to the meeting and to raise questions on matters relating to crime and safety issues within their own community” said Cllr. McMonagle. 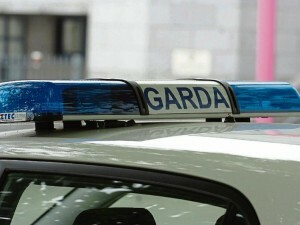 The Donegal Joint Policing Committee is made up of representatives from An Garda Síochána, Donegal County Council, Donegal Public Participation Network and local Oireachtas members and is a forum to facilitate greater co-operation and co-ordination in Donegal on important community safety issues. The 2019 Donegal Policing Plan is also being prepared and submissions are being sought. “This meeting is timely in that the matters raised at this public meeting will also help inform the 2019 Donegal Policing Plan and it will allow the members of the committee including An Garda Síochána, elected members of Donegal County Council and the Community & Voluntary representatives to hear first-hand what the keys issues are that are facing communities and how we can work together to help alleviate the concerns and address the issues raised” said Cllr. McMonagle. Submissions, observations and questions for consideration at the public meeting can be submitted in advance by email to kmcgowan@donegalcoco.ie or by post to Kathleen Browne, Community Section, Donegal County Council, Station Island, Lifford, F93 X7PK, Co Donegal by 5pm on Tuesday, September 18.